Datuk Mohd Zamree Mohd Ishak was appointed as CGC’s President and Chief Executive Officer on 1st January, 2015. Zamree brings with him vast experience in the areas of banking operations, corporate and consumer banking as well as Islamic finance education. He began his career as a Graduate Trainee Officer with Malaysia’s largest banking group Malayan Banking Berhad (Maybank) in 1989. He held several key positions in Maybank which include Executive Assistant to the President and Chief Executive Officer (April 2001 – Dec 2004), Vice President, Consumer Banking (Jan 2005 – Jan 2008) and Executive Vice President, Corporate Banking (Jan 2008 – July 2009). Zamree also served as the Chief Operations Officer of INCEIF – The Global University of Islamic Finance in July 2009 up to his latest appointment in CGC. He is also a member of the Chartered Institute of Islamic Finance (CIIF). On 12 July 2018, Zamree received the Sustainability Leader of the Year Award at the Karlsruhe Sustainable Finance Awards in Karlsruhe, Germany. The award honoured financial institutions, related organisations, presidents and CEOs with significant contributions to the field of sustainable financing. The recognition is organised by the European Organisation for Sustainable Development, the Association of Development Financing Institutions in Asia- Pacific and the Association of African Development Finance Institutions in cooperation with the City of Karlsruhe, Germany. Earlier on 20th February 2018, Zamree was recognised as the 2018 Outstanding CEO by the Association of Development Financing Institutions in Asia and the Pacific (ADFIAP). This is the largest and most prestigious aggrupation of 131 development banks and other financial institutions located in 45 countries within the Asia-Pacific region. Zamree holds a Bachelor of Science in Business Administration from Saint Louis University, United States of America (1988) and a Master in Business Administration (Finance) from the University of Hull, United Kingdom (1992). He attended the Asian International Executive Programme (AIEP) at INSEAD and the Global Leadership Development Programme (GLDP) at ICLIF in 2006 and 2010 respectively. In Autumn 2016, Zamree attended the Advanced Management Programme (AMP 191) at Harvard Business School, United States of America. Rahim Raduan joined CGC on 2 May 2018 as Chief Corporate Officer heading the Corporate Division. As the Chief Corporate Officer, Rahim oversees all strategies and activities of CGC’s Investment, Strategic Planning, Corporate Communications, Human Capital and General Administration & Premises functions, and to further strengthening these functions towards achieving CGC’s overall objectives. Rahim has over 19 years of working experience in many sectors, namely: investment and consumer banking, wealth management, fund management, automotive, infrastructure and property development. Prior to CGC, he was the Director in the Group MD/CEO’s Office of UEM Group Berhad, where he was responsible to assist the Group MD/CEO on the execution of several strategic initiatives across UEM Group. Prior to UEM Group, he spent over seven (7) years with CIMB Group where he held senior leadership positions which include Head of Consumer Banking’s Channel Operations and Service Support at CIMB Bank Berhad, Chief Operating Officer of CIMB-Principal Asset Management Berhad and Chief Operating Officer of CIMB Wealth Advisors Berhad. A well-rounded professional with extensive experience in corporate strategy, business transformation and financial management, Rahim is a Fellow of the Association of Chartered Certified Accountants (ACCA), a Member of the Malaysian Institute of Accountants (MIA), the Financial Planning Association of Malaysia (FPAM) and the Malaysia Financial Planning Council (MFPC). In 2015, Rahim attended the CIMB-INSEAD Leadership Programme at INSEAD, France. Leong Weng Choong joined CGC as the Chief Business Officer, on 15th July 2015. He oversees the overall supervision of development and implementation of business and marketing strategies. He also leads the development of the client management model and manages CGC’s distribution network i.e. the branches.He possesses an approximate 20 years of working experience in the financial industry having worked for OCBC Bank (M) Berhad and Hong Leong Bank (M) Berhad. He started his career in OCBC Finance and after 5 years, he moved to OCBC Bank, where he spent about 14 years doing various functions but mostly related to SME’s. Leong attained his Bachelor of Commerce from University of Western Australia, Australia. Yushida Husin was appointed Chief Technology and Operations Officer on 9 July 2018 and is responsible for the IT and Operations Division. She joined CGC as the Senior Vice President of Corporate Programme Management Office in 2016. Yushida was instrumental for CGC’s key projects which include Business Process Reengineering and IT Blueprint. In 2017, she was promoted to Chief Information Officer. Prior to being with CGC, Yushida served as the Chief Corporate Services Officer at Takaful Ikhlas Berhad. She was also with Accenture, overseeing project implementation in Malaysia and Asean. Her 20 over years of experience spans across Project Management, Corporate Planning, Process Improvement, Organisation & Methods, Corporate Services and Support functions. Yushida holds a Bachelor of Science (Statistics) from University of Illinois, Urbana-Champaign, Illinois, United States of America. Zarina Osman joined CGC as the Chief Credit Officer on 3rd April 2017. She oversees credit business operation which includes Credit Evaluation, Credit Management and Direct Lending / Securitisation department. Prior to joining CGC, she served as the Head, Credit Management at Kuwait Finance House Malaysia. She has also held several senior positions at Bank Muamalat Malaysia Berhad, RHB Islamic Bank Berhad and Alliance Merchant Bank Berhad. Zarina brings with her 22 years of experience in credit management covering full spectrum of Business Banking from Investment, Treasury and Capital Markets, Corporate and Commercial as well as Retail business. Zarina holds a Bachelor of Accountancy (Hons) from Universiti of Malaya and is also a Certified Credit Professional and Banking Credit Specialist. Perbagaran is the Chief Risk Officer. He joined CGC in August 2005 as the Head of Internal Audit. In March 2008, he was promoted to Senior Manager of Asset Management overseeing Loan Monitoring and Rehabilitation, Claims and Subrogation and Recovery. Subsequently, in January 2012 he was promoted to Assistant General Manager. His current responsibility as Chief Risk Officer include ensuring risks relating to credit, market, operational, asset liability and liquidity of the Corporation are identified, assessed, managed, monitored and reported to the senior management and Board. Perbagaran holds a Bachelor’s Degree in Accounting from University Utara Malaysia and Master of Business Administration from Cardiff Metropolitan University. He is a Chartered Accountant (Malaysia), a Certified Internal Auditor (CIA) as well as an associate member of Institute of Internal Auditors Malaysia and Malaysian Institute of Accountants. He also holds Advance Credit Enhancer (ACE) qualification. Shazmeer Mokhtar joined CGC on 2 May 2018 as Chief Financial Officer heading the Finance Division. In this role, he oversees the overall finance strategies including ensuring effectiveness and efficiency of both finance and procurement functions. Shazmeer was formerly the Deputy Director of Malaysian International Islamic Financial Centre (MIFC) in Bank Negara Malaysia (BNM). He has been with BNM for more than 15 years where he served in several sectors including Supervision, Regulation, Investments and Corporate Strategy. He was involved in leading the development and origination of Sukuk including the structuring and inaugural issuance of the world’s first liquidity instrument based on Mudharabah. He was instrumental to several strategic national and international initiatives which amongst others include positioning and sustaining Malaysia’s leading position internationally as an International Islamic Financial Centre/Marketplace. This includes his involvement as part of the BNM-SC-World Bank technical working group which facilitated the issuance of the world’s first Green Sukuk in 2017. Shazmeer holds a Masters in Public Administration from Harvard University and is an Edward S Mason Fellow of Harvard Kennedy School. He was also the guest speaker in Islamic Finance for Harvard Law School. Shazmeer is a Fellow of Association of Chartered Certified Accountants (ACCA) and member of Malaysian Institute of Certified Public Accountants (MICPA) and Malaysian Institute of Accountants (MIA). In addition, he was an alumnus of the UK MOSAIC International Leadership programme which was founded by the HRH The Prince of Wales and is an Exco member of Malaysian Harvard Club. Mohd Sukeri Ismail is the Senior Vice President, Asset Management overseeing the Subrogation and Recovery, and Loan Monitoring and Rehabilitation Departments. He has been with CGC for the last 17 years. Prior to joining CGC, he worked for a financial institution for six years. Sukeri holds a Bachelor of Science in Business Administration majoring in Finance from Creighton University, United States and a qualification on Associate of General Studies from Indiana University. Wong Keet Loong joined CGC as the Senior Vice President, Marketing & Sales in April 2015. He oversees Marketing & Sales for CGC via Financial Institutions (Conventional), Branches & Strategic Alliances with SME Associations. He has over 20 years of experience in the financial industry having worked for Ambank, OCBC Bank, EON Bank and Hong Leong Bank. He started his career in audit before he ventured into marketing & sales in business & consumer banking. He has vast experience as a Regional Head responsible for a region within Klang Valley for sales & operations. His other experience includes resource planning and business change management. He has represented CGC in giving talks on CGC products to SMEs & Banks at various seminars organised by Bank Negara Malaysia, The Star Outstanding Business Awards (SOBA) and was one of the international panel at the Asian Development Bank seminar on SME credit guarantee institution in Sri Lanka. He is a qualified member of the Association of Chartered Certified Accountants (ACCA). 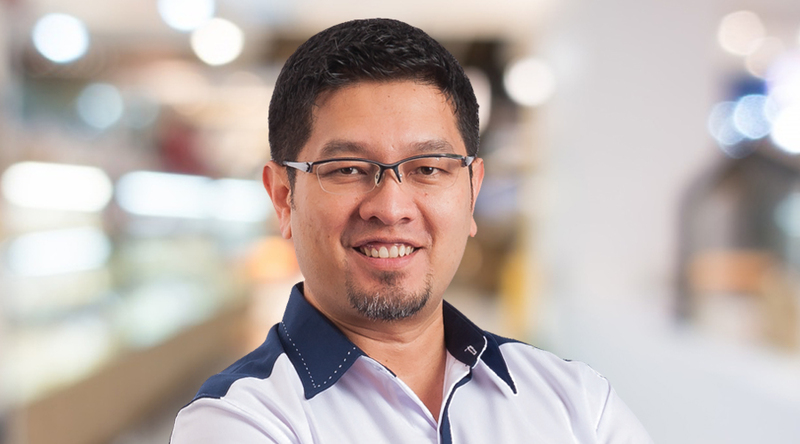 Mohamed Azman Mohamad Taufik joined CGC as a Senior Vice President, Bumiputera Development & Product in February 2015. He oversees Bumiputera Development, Product Development & Support and Client Service Centre. He has over 23 years of experience working in the banking and financial sectors both in Malaysia and Indonesia. Prior to joining CGC, he held the post of Associate Director and Branch Manager at The Bank of Nova Scotia Berhad. Mohamed Azman attained his Bachelor of Management Studies from the University of Waikato, New Zealand in 1990, and he is a Certified Credit Practitioner since 2002. Mohd Reza Mohd Hatta joined CGC as the Senior Vice President of Strategic Management on 3rd April 2017. He oversees two core departments, namely Planning & Research and Corporate Communications departments. Prior to joining CGC, he was the Acting CEO of an international Islamic Bank. He has also served as the Head of Strategic Planning and the Special Assistant to the President when he was with Export-Import Bank of Malaysia Berhad. He has approximately 16 years of working experience and has served in various institutions, namely in Petronas, OSK Investment Bank, Bank Islam Malaysia Berhad and PricewaterhouseCoopers. Mohd Reza holds a Bachelor of Accountancy (Hons) from Universiti Utara Malaysia and is also an affiliate of the Association of Chartered Certified Accountant (ACCA). Fakrul Azmi Mohamad joined CGC as the Chief Internal Auditor on 1 October 2018. His primary role is to assist Board of Directors and the Management to effectively discharge their responsibilities in establishing cost effective controls, risks assessment and mitigation, and to ensure stronger governance process. Fakrul has over 20 years of experience in financial services sector, where he has successfully implemented best audit practices as well as improving the audit activity coverage. Prior to this appointment, Fakrul was the Chief Internal Auditor at Asian Finance Bank. His past experience includes leadership positions at Kumpulan Perangsang Selangor Berhad, Malaysia Development Bank Berhad, Malaysia Debt Ventures Berhad, Kuwait Finance House and CIMB Bank Berhad. He is a Certified Internal Auditor (CIA), a Certified Credit Professional (CCP), an Associate Chartered Management Accountant (ACMA) and a Chartered Global Management Accountant (CGMA). Fakrul is also a Member of the Certified Bank Auditor (CBA) Examination Committee. Zainal Mat Aini joined CGC on 3 September 2018 as Senior Vice President of Human Capital, overseeing all Human Capital functions across CGC. He was previously with UMW Corporation as the General Manager of HR Leadership Centre since 2015. In 1990, Zainal started his career with the Education Ministry. An experienced lecturer and trainer specialising in HR Management, he moved to University Tenaga Nasional (UNITEN) in 2000. Zainal has over 25 years experience as a HR practitioner namely with UDA Holdings Berhad, Time Engineering Berhad (UEM), Agrobank Berhad, Edaran Otomobil Nasional Berhad (EON), Ann Joo Resources Berhad, and Malaysia Building Society Berhad (MBSB). He was instrumental and proficient in introducing HR turnaround exercises in these organisations. His vast HR experience spans across strategy, transformation, planning, operations, industrial relation, talent management, performance management and capability development. Zainal holds a Master’s Degree in Human Resource Development and a Bachelor’s Degree in Humanities/Liberal Arts from University Putra Malaysia. Sum Leng Kuang joined CGC as the Head of Investment in September 2015 and oversees the Investment Department. She brings extensive management experience to the table, particularly in the areas of managing fixed income investment portfolios, credit evaluation and credit risk management. She has also consistently delivered a commendable performance and good returns, as well as achieving zero default rate track record over the last 25 years of her career. Sum attained her Bachelor of Commerce (Finance) degree from the University of Canterbury, New Zealand. Daeng Hafez Arafat Zuhud joined CGC as the General Counsel & Company Secretary, Legal & Company Secretarial, in May 2015. He is also the Company Secretary of CGC. He oversees legal, company secretarial and corporate governance functions. Previously, he was the legal officer, executive and manager, working in the field of corporate legal, secretarial and human resources department for a few private and public listed companies in Malaysia. His last position prior to joining CGC was as an Assistant Vice President, Group Corporate Secretarial at Malayan Banking Berhad. He was also the past Company Secretary of Maybank Asset Management Group of Companies and Maybank (Cambodia) Plc. He has experience in legal practice, company secretarial and human resources. He holds an LL.B (Honours) Degree from International Islamic University Malaysia (IIUM) and was admitted as an Advocate and Solicitor of High Court of Malaya on 18 March 1995. He is licensed as Company Secretary by the Companies Commission of Malaysia since 1998. Wai Ko-chi joined CGC as Head of Enterprise Architecture & IT Strategy on 5 June 2017 and was promoted to Senior Vice President of Information Technology on 1 January 2019. Ko-chi oversees Information Technology, namely Enterprise Architecture & IT Strategy, IT Infrastructure, IT Governance, and IT Applications. Prior to joining CGC, he was an Account Technology Consulting Lead and Chief Engineer with DXC Technology/Hewlett Packard Enterprise. He has over 20 years of experience with various international and local organisations covering global and regional projects, including Shell IT International and Accenture. Ko-chi holds a Bachelor of Engineering (Hons, Mechanical) degree from the University of Malaya.